How gorgeous is this quilt? 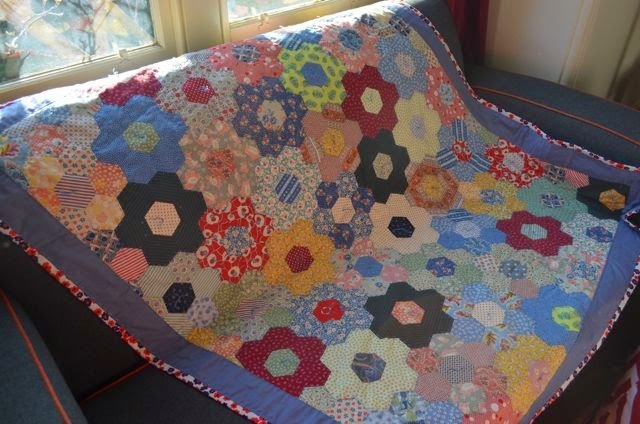 Of course it is not one of mine. Kim - artist, carer, friend - paper pieced, hand stitched, hand quilted this little beauty. It started years ago, at least five, maybe ten? 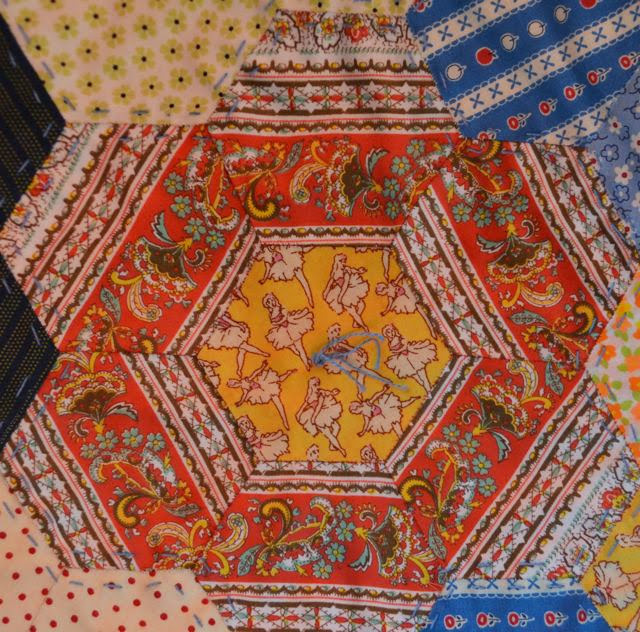 Look at the gorgeous fabrics. 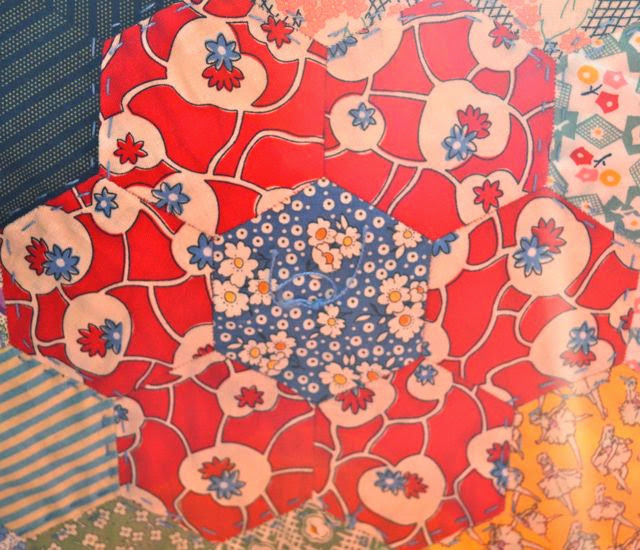 There is so much to look at in this quilt, so much to appreciate. 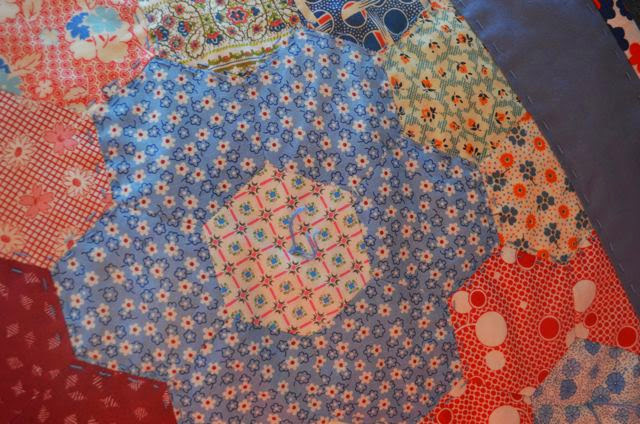 For years after the quilt top was finished, it lay dormant, waiting for the right time to become a quilt. 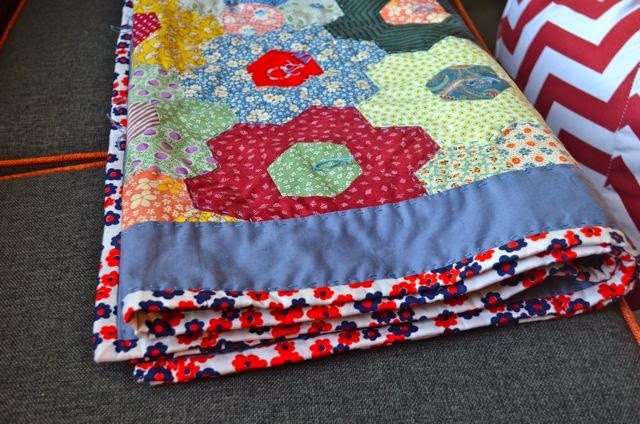 She brought the quilt top over with some fabrics to audition for the border, the backing and the binding. 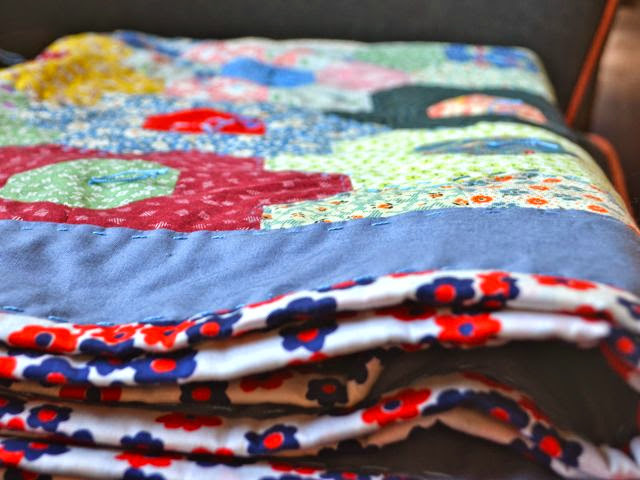 It is amusing for me to be providing 'advice' to anyone when it comes to quilts. But I know myself that another set of eyes is so helpful. 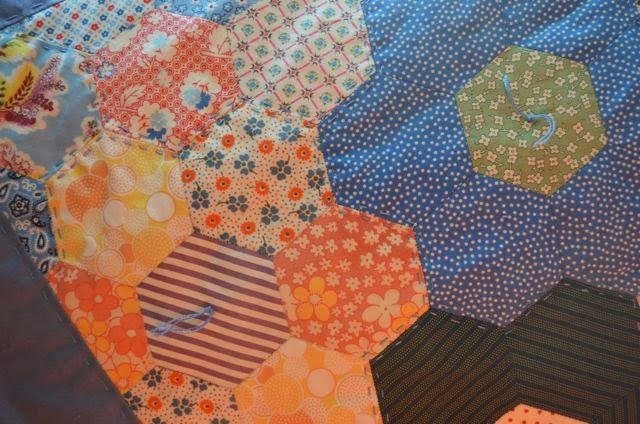 It never ceases to amaze me how a quilt can completely change depending on those selections, particularly the binding. That narrow little strip has such a vital role to play. 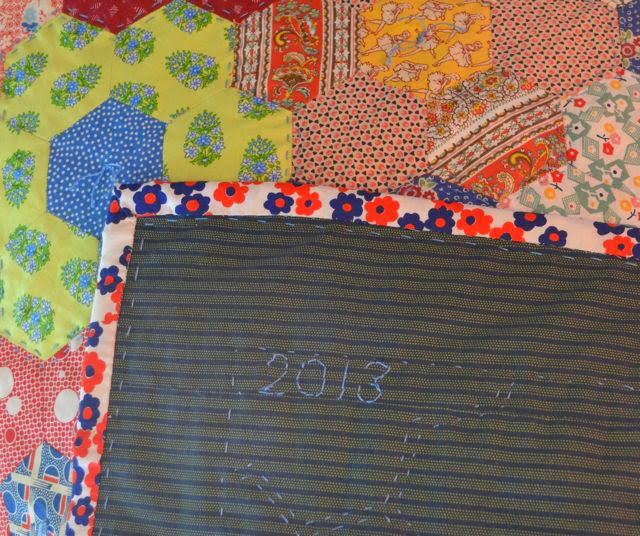 This binding is perfect I reckon, bringing together the colours and the small patterns and really 'binding' it. 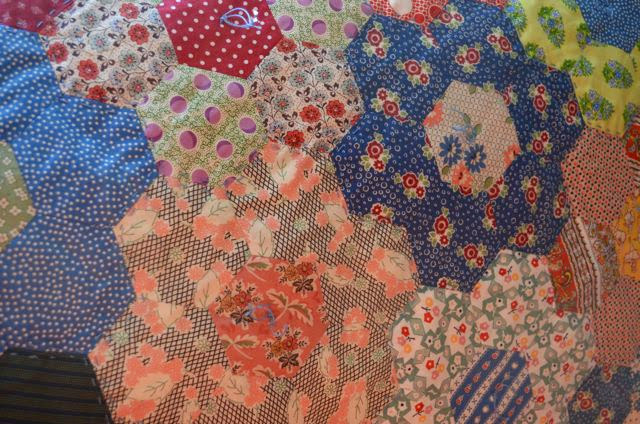 I still can't imagine paper piecing a quilt, hand sewing the whole thing, then hand quilting it. But I'd like to think maybe one day I'll do it. It's a little ripper don't you think?